&Beyond Benguerra Island lies sheltered within a canopy of indigenous casuarina pine forest, while the gorgeous silver-white beach of Benguerra Bay flanks the hotel. Richly decorated in North African style, the rooms have a fresh, decadent feel to them. The floors are terracotta screed, the walls a rusty orange colour, and the dark wooden furniture is beautifully hand-carved. 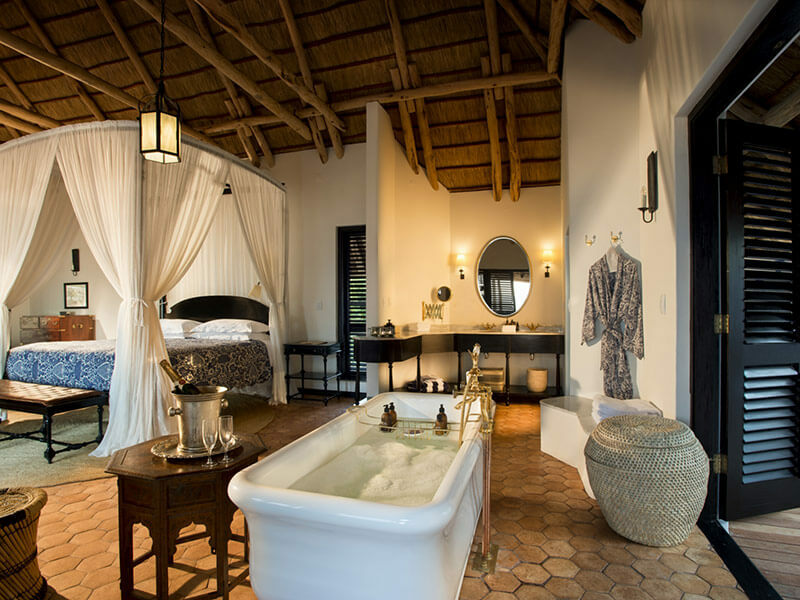 The 10 Casinhas at Benguerra Lodge are massive stone and thatch chalets, and are completely open plan and spacious with a lounge area, sleeping area, and bathroom at the far end. The real heart-stopper feature of the open-plan bathroom is the lovely stand-alone copper bath and this is matched with twin copper washbasins adorned with brass fittings. There is a separate room housing the toilet, and double shuttered doors lead out to the enclosed outside shower, with its lovely mosaic floor and dry-stone wall style enclosure- a secret view to the sea and beyond. Plenty of complimentary toiletries are provided including scented soap, shower gel, shampoo, conditioner, body lotion and citronella insect repellent, as well as a hair-dryer. 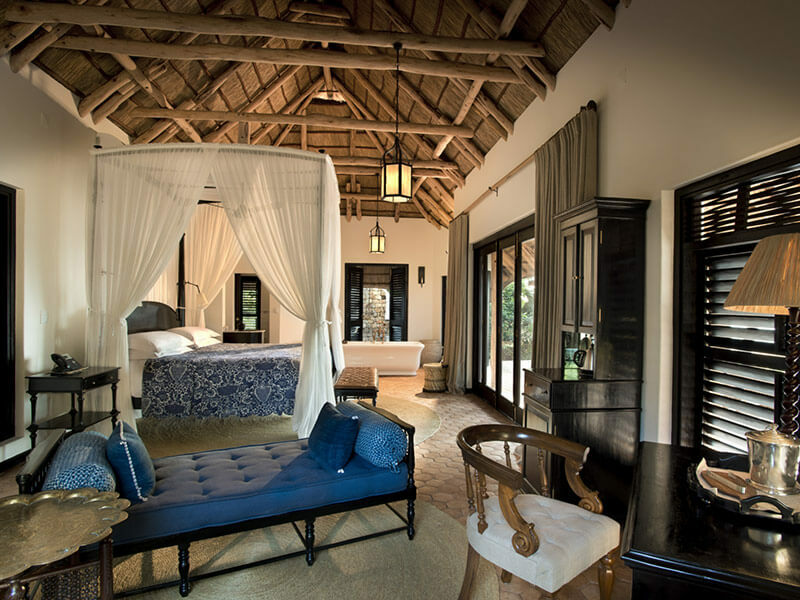 The beds have auburn wooden headboards, decorated with quilted throws and are surrounded by four-poster style mosquito nets. Either side of the ravishing bed-you will find bedside tables with beaded reading-lamps. The lounge area consists of a wicker coffee table and two comfy, cushioned chairs. 2 of the Casinhas can take an extra bed to sleep a child up to 12 years. If you’re travelling with children (aged 8-17), and staying in a Casinha, then it’s possible for your children to stay in one of the 10 bungalows -which are set back from the beach. These are for children only; they are not available for adults to stay in. These bungalows at Benguerra Lodge are built slightly off the ground on wooden stilts. With bamboo blinds which can be lowered at night, and the beds have mosquito nets. There is an indoor shower, toilet and sink. These are relatively simplistic rooms for the little ones to have a home- away- from home feel. 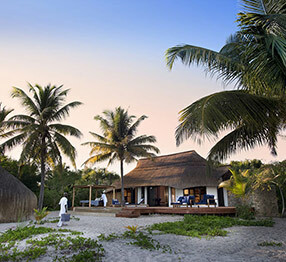 But good value for an amazing family holiday to Mozambique! Outside your Casinhas is a private decked area, which leads directly onto the beach at Benguerra Island. You have your own plunge pool, sunbeds and a shaded area with table and chairs. 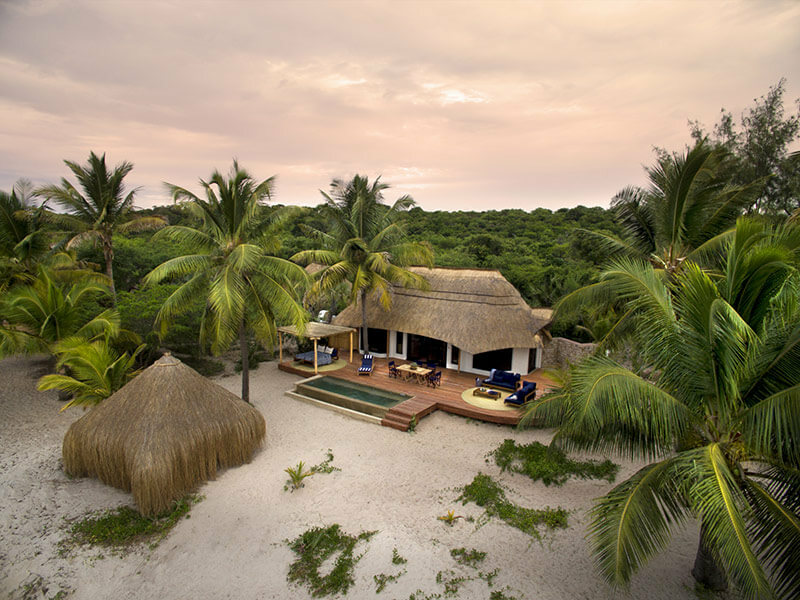 Down on the beach is your own thatched shady sala, complete with canvas sunbeds. The picture-perfect place to enjoy a cocktail while the comfortable loungers around the pool are ideal for taking in the ocean views. Dinners will often be enjoyed under the stars on the wooden deck or on the beach with your toes in the sand. The Casinhas villas at andBeyond Benguerra have some of the finest beach views over the Bazaruto Islands – open the folding shuttered windows and doors to frame the wonderful views over your private deck to the beach and ocean sea-bed. A mini-bar fridge which can be stocked with your choice of beverages, along with tea and coffee making facilities. There is also a large wardrobe with, a full length mirror with intricately carved border and an electronic safe for precious belongings. Serenity in the surroundings, true tranquillity and affection in all the personal touches in this hide-away island floating in unprecedented turquoise beauty and absolute luxury at Benguerra Lodge!